DOJ: Prof harassed white student over cultural appropriation – ‘whiteness’ is synonymous with evil. Gee, another leftist commie professor in California. Go figure. The surprise here is that the California Department of Justice actually did their job this time. They found that a San Diego State University lecturer harassed a white student and then retaliated against her for challenging his Master’s thesis. American Indian Studies Lecturer Oscar “Ozzie” Monge is the racist, scuzzy professor here. SDSU graduate Crystal Sudano filed four discrimination complaints against this jerk. She’s white and he harassed her. This guy has been leading the charge to retire the school’s Aztec mascot now for years. One of Crystal’s complaints was found to be lacking evidence. But the other three concerning racial discrimination were confirmed. How? By statements that Monge has made on Facebook and in person. His actions as a professor also gave it away. Sudano and Monge met at an Occupy Wall Street movement in 2011. They stayed in touch after that. Why, I haven’t a clue and maybe Sudano evolved during that time. Monge certainly didn’t. Monge submitted his Master’s thesis, “Fail, Montezuma! The last vestiges of an obscured yet stubbornly persistent culture of racism at San Diego State University,” in 2015. In this piece of racist trash, he argued that the university’s adoption of the Aztec mascot originates from the false belief that the Aztecs originated in the Southwestern United States. Sounds like great fire kindling, huh? Fortunately, the Associated Students (AS) are actually functioning humans and voted to keep the mascot 24 to 1 in 2015. Good for them. Monge used his thesis to argue that the mascot should be changed because it perpetuates historical ignorance in addition to constituting cultural appropriation. Meh. Unfortunately, there school seems to be devolving and in November 2017 the University Senate approved a resolution recommending that SDSU retire the mascot. Dingbats. 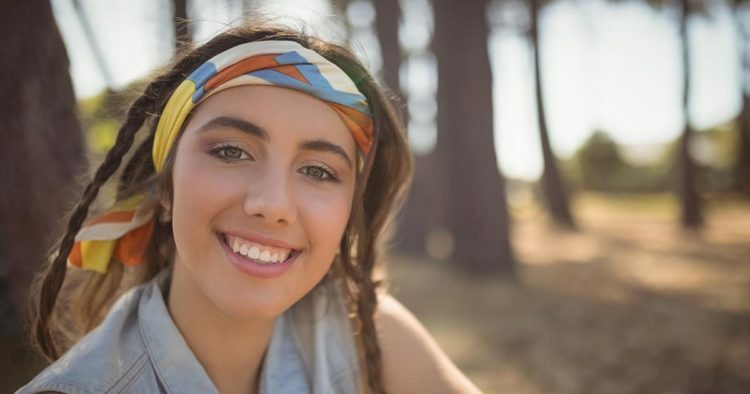 While Sudano was a student, she ran into Monge outside his office during the spring semester of 2016, where Monge chided her for wearing a T-shirt with the SDSU logo with a spear through it, which he called “racist.” Really? Monge discussed with her his efforts to get the mascot removed in a series of Facebook messages later in 2016 and early 2017. She’s needs to pick better friends than this. Seriously. In one message, he wrote that “all you need is 1 Native (American) student to say they love Aztecs and out it goes. I can provide 1000 white students who agree, but they’ll focus on the 1 ignorant native who doesn’t.” Ignorant? That was racist AND ignorant. 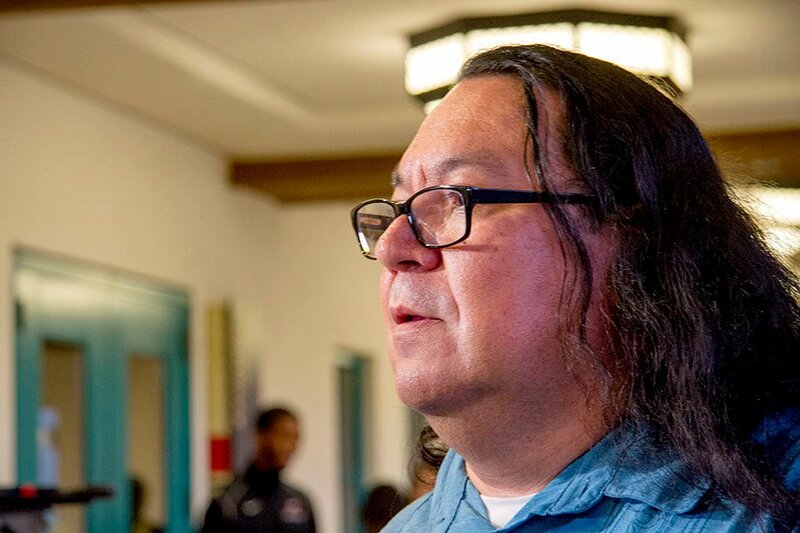 American Indian Studies Lecturer Oscar “Ozzie” Monge at an Associated Students vote on a resolution to retire the Aztec mascot and moniker in April 2017. Monge has been outspoken in favor of ending the mascot. In yet another message, this dweeb claimed that the Native American Student Alliance was not on his side in the mascot debate because of “a couple of white students who are members, who apparently have great grandmothers tgat [sic] are Cherokee Princesses,” employing a term used to mock those who appear white, but claim to descend from non-existent Cherokee royalty. Paging Elizabeth Warren. Sudano, who was ticked off over all this, began fact-checking his thesis. Monge found out and started threatening her grades by bringing up a missing assignment and four absences. The report states that “Monge retaliated against Sudano…after she complained to [him] about his discriminatory and harassing conduct, and appeared to undermine Monge’s thesis in the mascot resolution debate. Monge told Sudano that her grade would be lowered, ultimately causing her to seek a constructive withdrawal from [his] class.” She should never have been in that class to begin with. No one in their right mind should. After Sudano pulled out of the class, she was shunned by other students in organizations that she attended. Given, they are liberal whacked organizations, but you get the point here. In a written statement to the investigator, Monge wrote that “it is quite easy to argue that ‘whiteness’ is synonymous with evil.” The report concluded that “Monge uses ‘white’ whenever he wishes to explain someone who has done something wrong, or bad.” Monge appears to have not appealed the ruling and he won’t answer inquiries from Campus Reform over all this. My take away here is Sudano is getting a taste of her own liberalism and Monge should be fired.